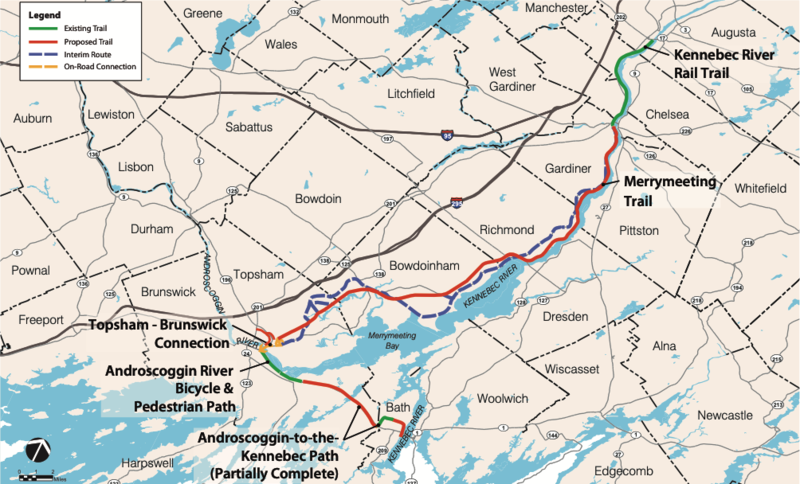 The Merrymeeting Trail would connect to the other trails to form the Capital to Coast Trail System stretching from downtown Augusta to the waterfront in Bath. Help support LD1141 today! See our Advocacy page for complete details. Add your name to our sign-on letter!